The hill is full of boulders scattered all around. 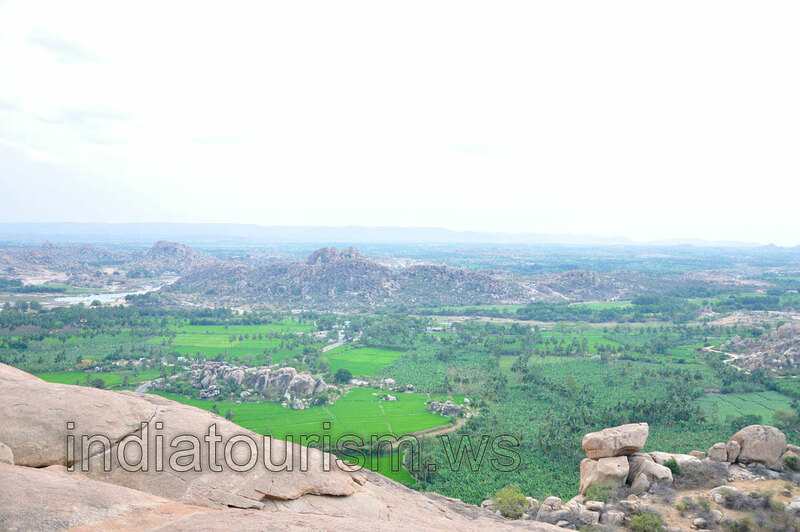 The view from the hill is gorgeous, you can see the ruins of Hampi on both banks of the Tungabhadra river. It is an awesome place to see the sunset. However you need to have enough strength to climb to this place.